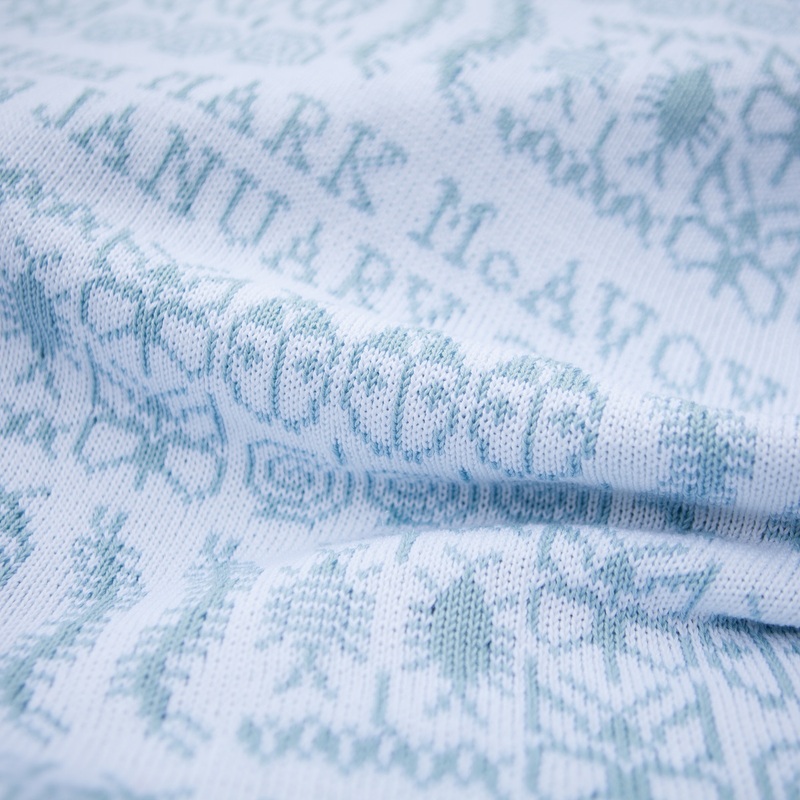 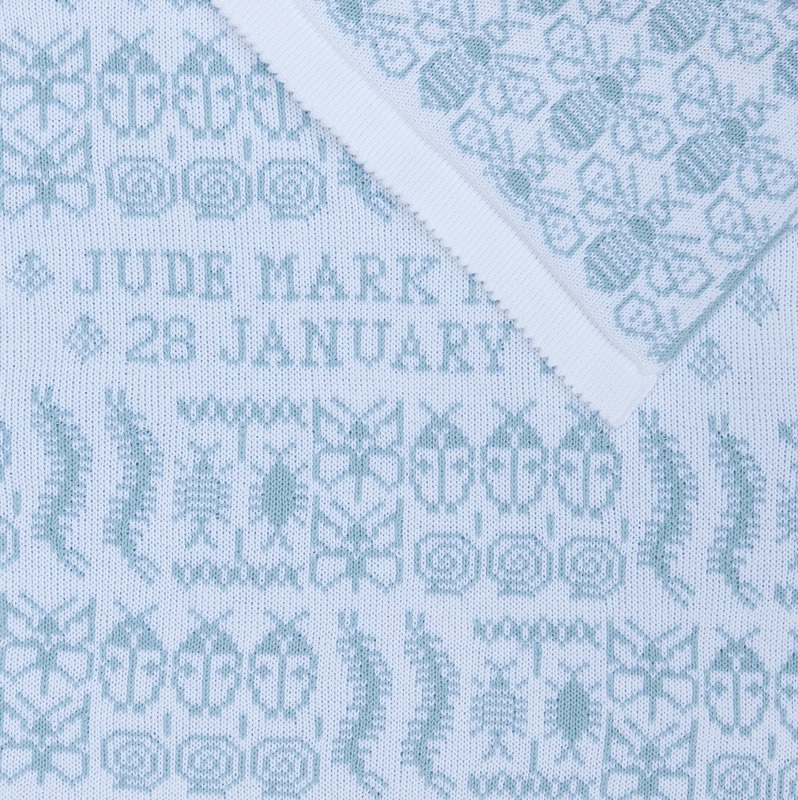 The Sky colourway is knitted in calm pale sky blue and white cotton. 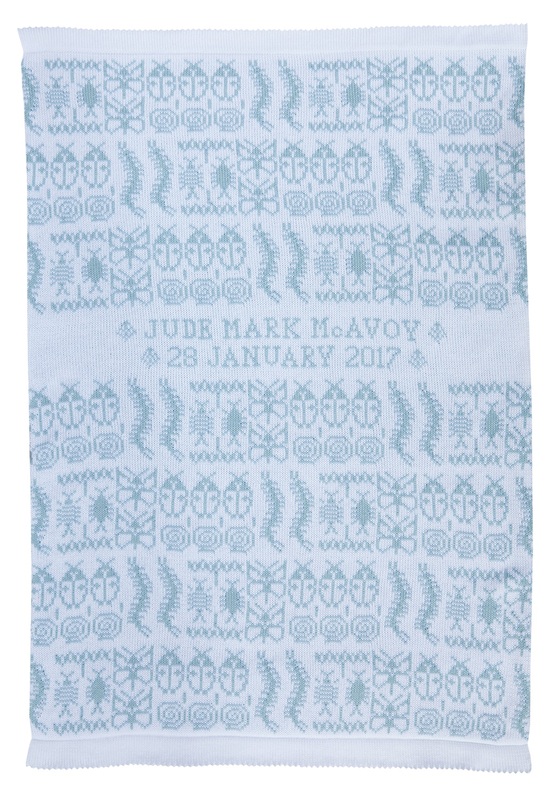 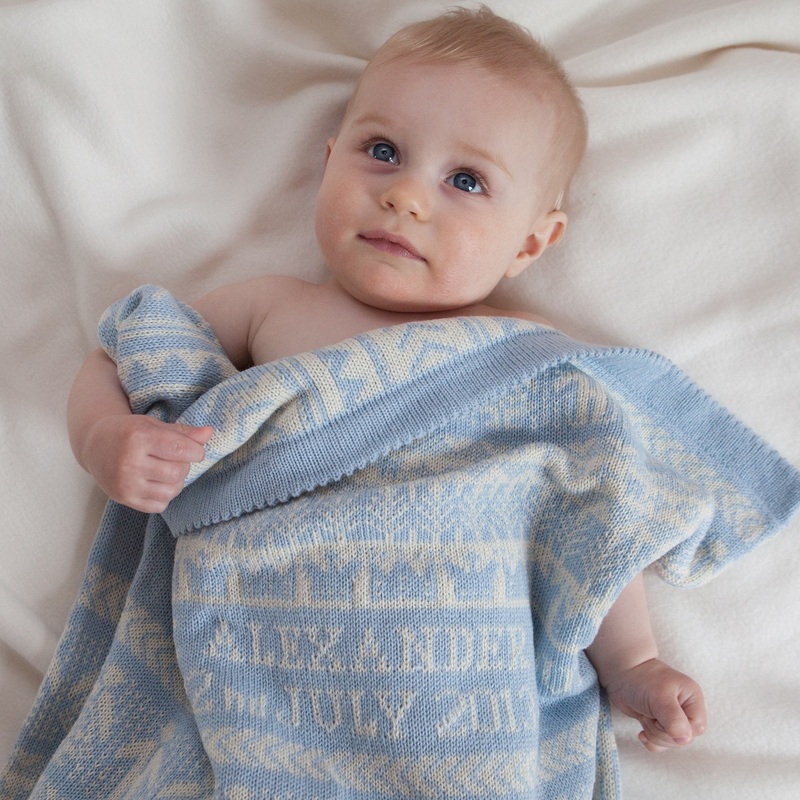 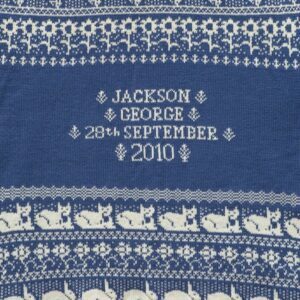 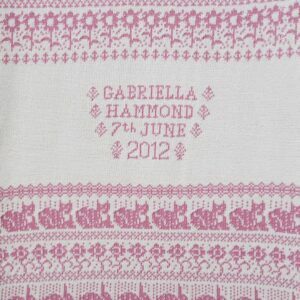 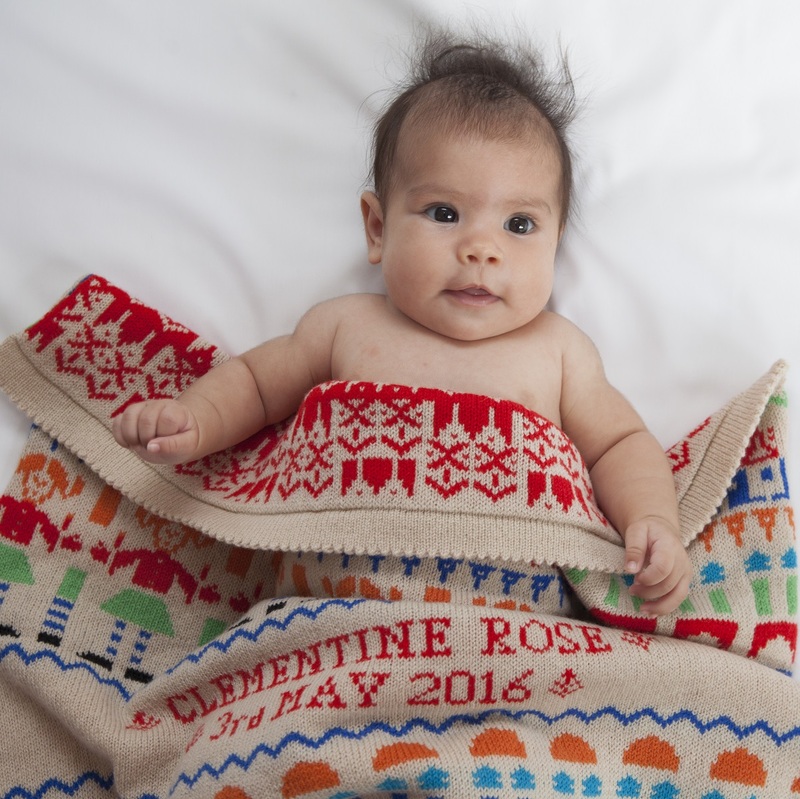 This personalised baby blanket can be made in two sizes – pram size and cot size. 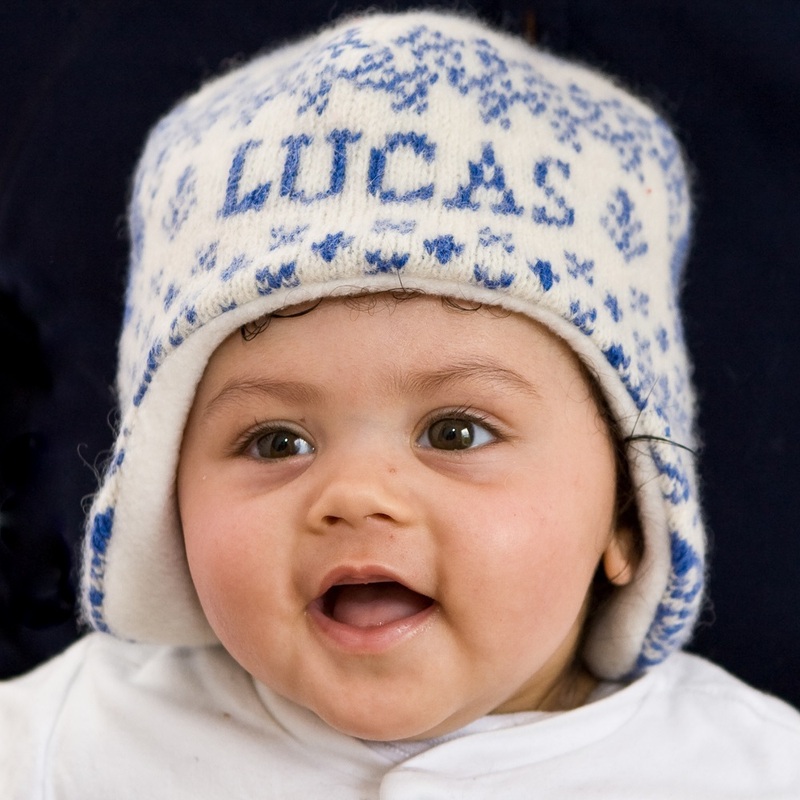 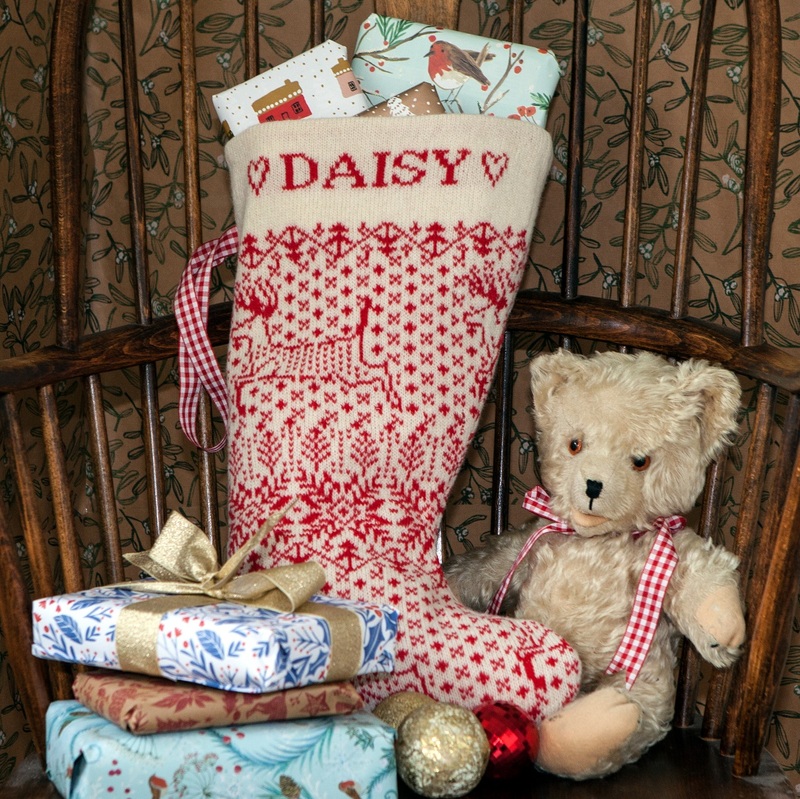 Both are made from two layers of knitted cotton. 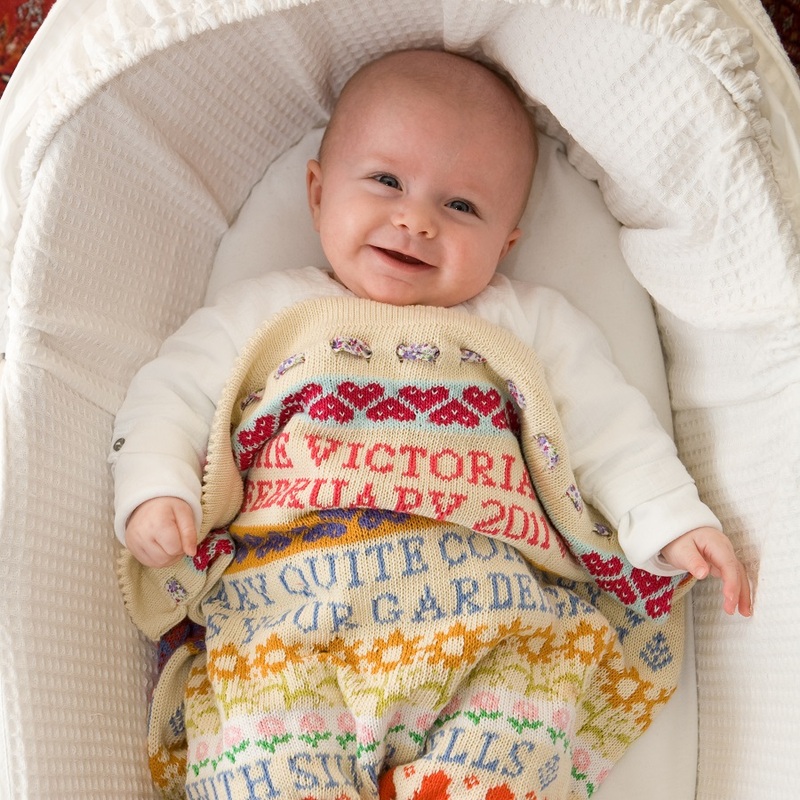 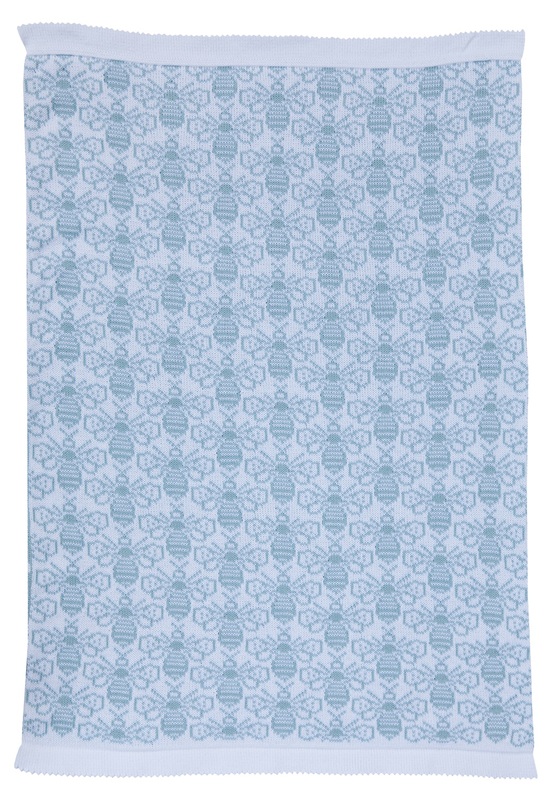 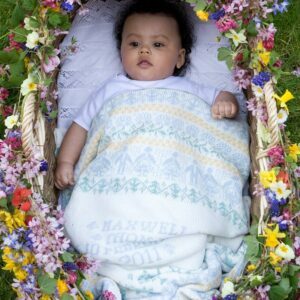 The pram size blanket is very versatile and can be used both at home and while out and about. 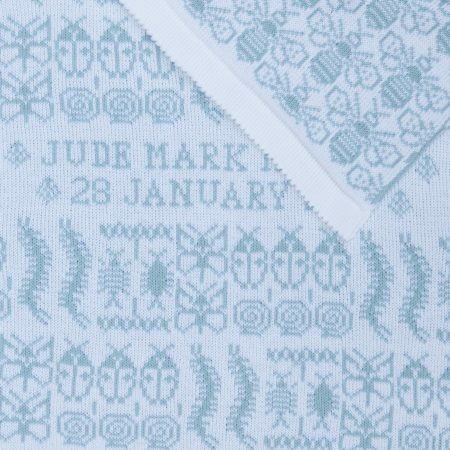 The cot blanket makes a useful addition to baby’s nursery and is thicker, with a fine layer of cotton wadding in the middle. These cotton blankets are practical and can be easily washed in the washing machine on a handwash setting.